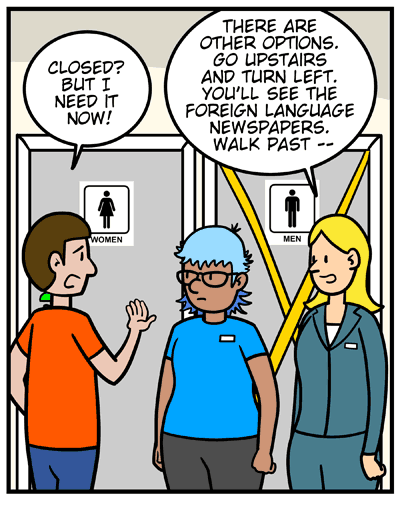 I admit it — most of my favorite comics take place in or around the library’s bathroom (because I don’t have to clean it). 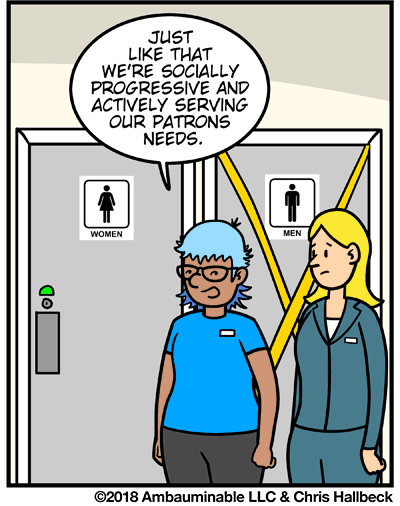 If the bathroom is a single seater, why are gender distinctions needed? 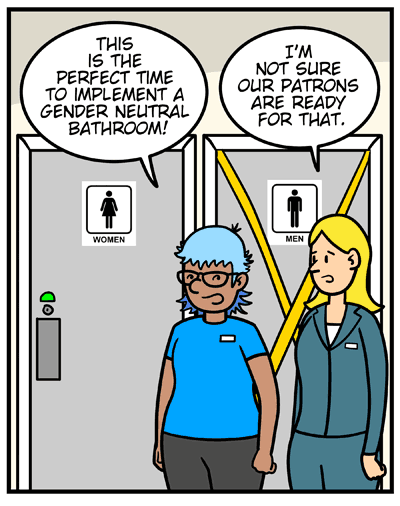 It would be like requiring people’s homes to have two toilets. I know some household kitchens with two sinks, one for washing out dairy, the other for meat dishes. 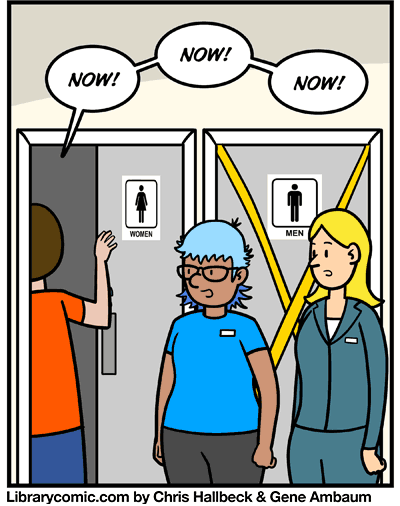 Gender boundaries can sometimes get a bit weird in the bathroom. Keeping the meat and dairy separate is a religious thing for Jews who keep Kosher.